I bet there is a lot you can add to the comments from Oncology Nurses in this article. Perhaps you’re an Oncology Nurse or someone close to you is doing this job. This article will give you a glimpse of the day-today responsibilities, concerns, technological issues, and a perspective on how to answer a patient’s very difficult questions. As you know, this Specialty isn’t for everyone. If you’re considering becoming an Oncology Nurse or are curious about it, please read this article and let us know what you think. In the world of cancer care, there's much to celebrate. In the last two years, the FDA has approved dozens of new treatments. The vast majority of those drugs are targeted therapies — the kind that require particularly complex medical care. At the core of that care is the oncology nurse. The job of the nurse in cancer care is now even more demanding — and in the next few years, that pressure could be compounded by a shortage of oncologists. David Freudberg is host of the public radio series Humankind, based in Belmont. He's produced a documentary series about the challenges in nursing in today's health care environment called "Resilient Nurses." Freudberg spoke with WBUR's All Things Considered host Lisa Mullins about what he's learned regarding the pressures nurses face and the care they give. Below are excerpts from that conversation and from Freudberg's interviews with nurses around the country. "They're difficult conditions, with so many baby boomers flooding into our health care system and the new cohort of patients coming in as a result of the Affordable Care Act. And many of them have what's called higher acuity — more difficult-to-treat symptoms. In addition, there are budget difficulties, and you have all the technology that nurses increasingly are responsible for monitoring [with] a patient, and this adds a kind of emotional stress — because nurses truly are in it to care for the individual patients. They want to make a personal connection to the extent that their job limitations permit. And when you're having to mostly focus on machinery and technical measurements and special procedures, that becomes an obstacle to direct care of the patient. And so that's a stressor." "I happened to interview a couple of wonderful nurse practitioners... And they do provide their cell phone and text abilities to their patients, because they really want to be available to them — some [patients] whom are very compromised and extremely worried. In addition, various social media — Facebook, Twitter — become additional means of reaching nurses ... so in some ways the technological pressure has increased in the communications technology, as well ... My impression, having met them, was that they're just deeply warm and caring. It's not to suggest that other nurses who don't want to do it are not warm and caring. But they just wanted to be there for their patients." "... some people would say compassion doesn't fatigue; it's the people who are trying to be compassionate who need to re-frame the way in which they provide their compassion. But it is potentially a serious problem, because people do get tired. They are up against a relentless schedule. Some nurses don't even drink water during the day; they don't go to the bathroom during the day. I heard this over and over in different locations... for every patient they're dealing with, three more have rung the desk and they need to attend to them. And in addition, there are the families who are asking questions. It's just really tough, and the typical shift of a nurse in the United States is about twelve hours. That's a long time to be on your feet, running from patient to patient, not necessarily even getting a break. And this subjects you to medical errors, to a reduction in job performance. "We're working with severely immunocompromised people... if you don't prep the insertion site with alcohol for as long as it needs to be, you could be introducing a bloodstream infection. Some of the medications we give, you'll read the adverse side effects or reasons that we would stop a certain study that a patient's on, and it's death. You're just waiting for that clearing of the throat to be an indicator that your patient's going to stop breathing. And then when we're at home and we see a phone call from work, we think, 'What did I do wrong? Who did I kill? What medication did I not give? What chemo didn't go in right?' And we're looking at patients that each have easily 15 to 30 meds each." "I can think of a specific incident where I told a patient some really devastating news. And I just reached out and held her. And we cried together. I don't have an issue with showing my feelings. There may be other clinicians that do. But how can you not, when you're telling a young girl some tragic news? And you see her completely fall apart. It's okay to fall apart with them and hold them, but then give them confidence afterward." "I was in his room, and he said, 'What do you think happens to people after they die?' And I said, 'I'm not sure.' He said, 'What is your belief?' And I said, 'I believe that if you believe in God, that you are remembered and he will look after you.' And he said, 'What do you think happens to people that don't believe in God?' I said, 'Well, whether you believe in him or not, he believe in you.' When someone asks you something like that, it's just not a casual question. You can actually feel the pain coming from that person and the fear that that's going to be it for them, no return, nothing. It's not always that you give someone an ABC answer and they're fine." Two complete strangers, both named Tricia, meet and after 10 days one of them asks the other to take care of her 8 year-old son if she dies. Nurses are known to be caring and loving, always going the distance to help anyone in need. This story shows you a Nurse who goes beyond that. We see there are still great people out there and the power of instincts and compassion can save lives in more ways than one. An angel. That’s how Tricia Somers described her oncology nurse, Tricia Seaman, at PinnacleHealth Hospital in Harrisburg, Pennsylvania. “Before she even said anything, I just felt comfort. It was almost like someone just put a warm blanket on me,” Somers told CBS News in 2014. 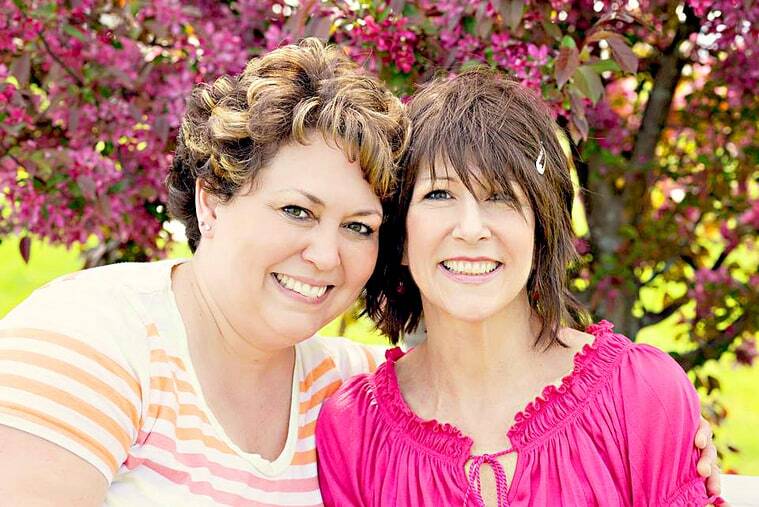 “I’ve never felt anything like that before.” The connection was so deep that when the single mom learned her cancer was terminal, she turned to Seaman with one last dying wish. When Somers passed away on December 7, 2014, at the age of 45, the Seamans became Wesley’s legal guardians. No longer an only child, the now-10-year-old counts the Seamans’ kids Anna, 20, Jenna, 18, Emma, 15, and Noah, 12, as his siblings. You must take the time to read this article! If ever there was a tribute to Nurses, this is it! This story is written by an oncology patient who pays wonderful tribute to many Nurses, but also a particular Nurse who took care of her and helped her get through her surgeries and treatments. I think most patients feel this way about the Nurses that take care of them. They don’t always show their appreciation, but this patient took the time to write about her experience. I hope this will make your day. RELATIONSHIPS WITH NURSES can stick with patients for the rest of their lives. From nurses, I learned the power of accompaniment. One held my hand as I uncontrollably teared up before port surgery. Another nurse on the oncology floor, when she found out that my husband and I had been married two weeks before I had checked into the hospital, made me a pillow adorned with our wedding pictures. Another shaved my head for me when my hair started falling out at an unsightly pace. A patient-care technician—what used to be called a nursing assistant—held me while I threw up in the bathroom after a two-hour MRI. Although I respected my oncologists for the important role they played in my cancer treatment, I found the wide and varied “turf” that exceptional nurses cover astounding. A year ago last May, I was checked into Boston’s Beth Israel Deaconess Medical Center (BIDMC) as a 29-year-old non-Hodgkin lymphoma cancer patient just out of spinal surgery and unsure if I’d be able to walk again. A few days post-surgery, two nurses held me next to my hospital bed to see if I could stand. Although I was frightened, I particularly remember Neely Beaulac, R.N., joking with me in her thick Boston accent while I slowly tried to march in place with feet that moved like cinderblocks. Somehow, I broke into a small smile and laughed as Neely cheered me on. Nearly a year later, I walk the 1.1 miles to the BIDMC from my apartment, stroll into the ’80s-style lobby, and wait in a herd of visitors to ride the elevators to the upper floors. I had planned to meet Neely after her shift. I wanted to interview her about working as an oncology nurse. But when one of her patients had an allergic reaction to a transfusion, she asked if we could meet at the outpatient clinic instead in order to be nearby in case her patient needed her. While in the elevator, I remember my own allergic reaction to a transfusion, which made my eyes puff up to the size of bouncy balls. Given the complexity of cancer treatment and the series of patient issues that arise moment to moment, the end of an oncology nurse’s shift can be fluid. “Sorry to make you come here!” Neely says with an incandescent smile. I greet the other staff I know, and the two of us head to a break room to sit and talk. She puts a small bottle of water in front of me, as she has so many times before. Neely is in her mid-thirties with clear blue eyes and dark hair. She’s attractive in that cool-girl way that makes you want to know her jokes. When she’s doing her job, she can be efficient and quick but also chatty. She makes her nursing tasks look easy yet precise. She’s the kind of nurse who makes a note of when your IV bag is going to run out so you’re not repeatedly awoken by a beeping apparatus. She’s at home barging into a room to restore order. The blue shirt of her scrubs matches her eyes and is adorned with a flowered nametag and a pin a patient gave her, a take on the Superman insignia. Neely was born for nursing. She tells me her mother would describe her as bossy, organized, particular, “and just that little bit defiant.” Even as a child, she always liked “to be a little helper.” If she thinks she can help by providing information, she wastes no time telling a patient the truth of the matter. She doesn’t sugarcoat. But for all her native bossiness and helpful bluntness, she says nursing has changed her: “I’m definitely still organized, but I’m not as uptight, not as intense.” She has become better at listening rather than convincing. When frustrated and overwhelmed patients say they want to stop cancer treatment, not an infrequent occurrence, Neely now tries to hear them out, helping patients feel they have more control and aren’t being bossed around. ACCORDING TO THE Bureau of Labor Statistics’ Occupational Outlook Handbook, important qualities for nurses are attention to detail, critical thinking, communication, compassion, emotional stability, organizational skills, and physical stamina. Nurses spend their days multi-tasking and managing all kinds of people throughout the day, from patients to parents to spouses and doctors. Although they take on many roles throughout a shift, an eye for detail is essential. 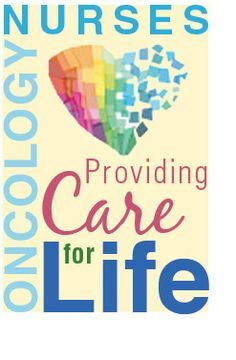 Oncology nurses administer chemotherapy and other cancer drugs, making sure that “the correct dose and drug are administered by the correct route to the right patient,” as the nursing reference book Cancer Medicine puts it. Too much of the poison can be fatal. Oncology nurses also take on other more complicated and personal roles. When I was a patient last year, feeling miserable and immobile in a hospital bed, saltine crumbs were scattered all over the bedtable. I had not asked my husband to clean it, because I was tired of asking him to do things, and I figured crumbs were the least of my worries. Neely then came into my room, and before leaving, wiped down my table. It wasn’t part of her job; she just did it. I felt comforted by someone willing to blur the lines between professional nursing responsibilities and basic human-to-human caregiving, as if going out of her way is not out of her way at all. Not only do nurses do small things to give you dignity, like picking up crumbs or wiping your mouth, they also clean up filthy messes to restore livable conditions for their patients. One night early in my treatment, my husband and I had friends visiting. As I began falling asleep and my husband was saying goodbye to the friends in the hallway, I had a late onset of nausea from the chemo drugs. Before anyone knew what was happening, I was throwing up my dinner without being able to get off my hard neck brace. In what seemed like seconds, nurses rushed in to clean me off, change my sheets, and generally get the room back in order as if the disgrace had never happened. Those nurses’ NASCAR crew-like handling of my soiled room helped me move past such a gross and miserable situation more quickly. While receiving cancer treatment and undergoing several surgeries, I encountered numerous take-charge, warm, nursing souls who literally ran toward problems rather than away from them. And oncology nurses don’t just keep things orderly; the great ones boss people around in both clandestine and overt terms to get the best outcomes for their patients. When I was Neely’s patient, she would gently boss around my husband. “Don’t forget to pack her underwear!” she would remind him, when I had to stay in the hospital longer than expected and he’d rush home to bring me more T-shirts and yoga pants. “Husbands always forget underwear. I don’t know why that is,” she tells me during our recent interview. Good nurses chase down doctors, assert their opinions based on their sometimes superior knowledge of a situation, and appease family members and other caregivers. Once my discharge was postponed for 48 hours by the attending doctor who barely seemed to have read my file and was rarely available. I felt I could not spend one more day in the hospital with its scratchy sheets, bad food, being woken up every few hours for vital signs, no chance of getting outside into the light of day, institutional showers, and daily injections. It was a nurse who listened to my husband’s rising anger throughout the day as he saw how my mental state was deteriorating. The nurse didn’t have the power to discharge me, but sought out answers from the doctor time after time, despite having a list of patients in equal or worse predicaments. BEFORE SHE KNEW so much about the packing tendencies of husbands or the best ways to get patients discharged, Neely wanted to be a teacher. In fact, she went to college for teaching. She had considered nursing, but felt teaching sounded “less stressful and more fun.” During her junior year of college, her cousin had a car accident, and she went to San Diego for the summer to help him around the house and take him to medical appointments. She was inspired by the nurses that cared for him and could see the tangible and emotional difference they made. “That intrigued me,” she says. Six months before graduating with a degree in teaching, while gaining experience in schools, Neely decided working in a school system wasn’t for her. “I love spending time with children,” she says now, but the built-in tension between teachers and parents and the regiment of teaching to tests didn’t appeal to her. “It wasn’t as fun as I thought,” she admits, even though her parents told her to stick with it. Just six months after graduation, she had her way and got into nursing school at a two-year program at Labouré College in Dorchester, Massachusetts. After a semester of science courses, she could then start working in hospitals as a floating patient-care technician (PCT). First she gained experience as a PCT in Beth Israel Deaconess Hospital’s Needham outpatient center, and then at BIDMC’s main campus in Boston in an oncology inpatient unit, where I met her and where she has been for more than ten years. Neely says she’s had no doubts about her profession since graduating from nursing school and has found oncology nursing especially intimate. 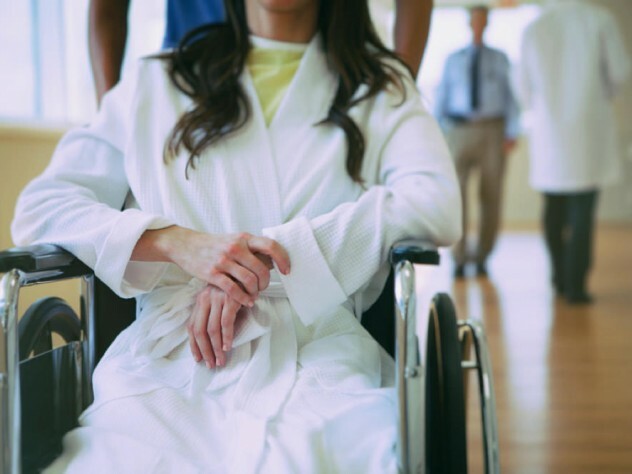 Instead of patients coming in to be “fixed” and then put on their way, in oncology units, patients often stay for days or weeks, or come back repeatedly for treatment or follow-up in an outpatient clinic. Nurses know everyone’s name and usually the names of many family members or friends. “You want to put a lot into it,” she says, “because you know [your work] really affects people.” Getting to know someone as a person instead of “just a body,” in her words, does make a difference. I can testify. Each day she’s on the inpatient unit, Neely tries to give patients a goal to improve or maintain their mental state. “Every patient needs a goal for the day, whether that’s to get out of bed, or to go home, or to visit with family,” she says. When she starts her inpatient shifts, she tries to check in with each patient to set a goal and ask, “OK, we have 12 hours, we need to get this done, how do you want to do it?” And on the inpatient floor, she’s up front about how few choices there are for patients. “It’s not rainbows and sunshine. Let’s be real,” she says. On some days, I remember my goal was to have a bowel movement or to get from the bed to the chair. “Hopefully by the end, you’re getting out of your chair and doing a few laps [in the hallway] before you go home,” Neely tells me in our interview. SEVERAL STUDIES HAVE SHOWN that workplace stress for an oncology nurse can lead to compassion fatigue and burnout that’s caused by just this kind of effort to help others. One 2010 study on oncology nurses, done by Washington University Medical Center in St. Louis, measured compassion fatigue through surveys that captured data on secondary traumatic stress, burnout, and compassion satisfaction. For the study’s 153 oncology inpatient staff participants, 132 of which were registered nurses, nearly 40 percent were at a high risk for compassion fatigue, while 44 percent of inpatient staff were at high risk for burnout. But another 2008 study conducted by Beth Perry, a professor at Athabasca University in Canada, found that “exemplary oncology nurses were able to avoid compassion fatigue by creating moments of connection and making those moments matter.” Sometimes small moments are all that’s left. But even in hopeless times, she still feels she can help. “If you know someone is not going to do well—and ultimately die—because that’s what everyone is afraid of with cancer, the Big C, just give them dignity. If there’s something they want to do, get it done. You want your dog to come in? You want to leave and go wherever? Just help them get that done.” She admits that if she were in that situation, she would most likely want to go home with her husband and dog to die. She knows that life can change in a minute. Neely texted me the day after I met with her to say our discussion had made her reflect more deeply on her nursing career. One thing that kept coming to her mind was something that happened to her in college. While on a jog, a car hit her. As for me, I’m grateful that I can sit up, reach my computer to type this, and be able to thank Neely for the part she played, alongside many others, in getting me to where I am today. When I do thank her during our interview, she looks me in the eye and insists, “You did it!” Of course she would.